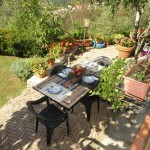 Ample private garden with BBQ. 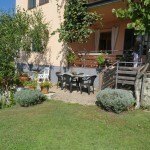 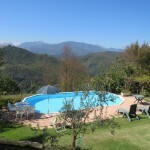 Swimming Pool (9m x 4m), in separate garden shared with B&B guests. 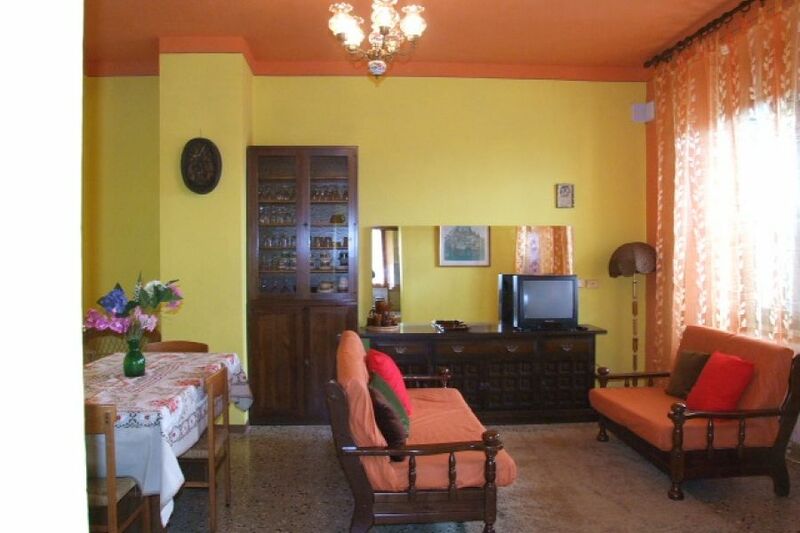 Well equipped, Fridge freezer, washing machine, , oven, hob, microwave, toster. 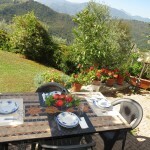 Ample garden with BBQ, overlooking green woodland hills and mountains. 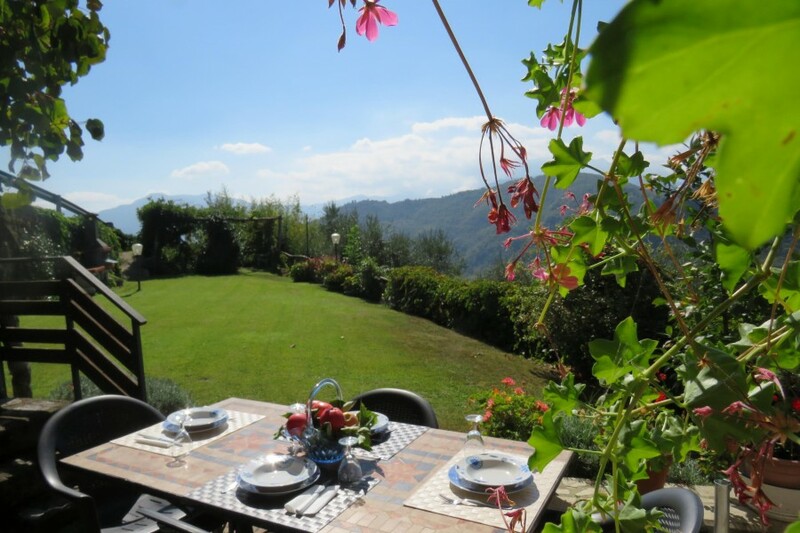 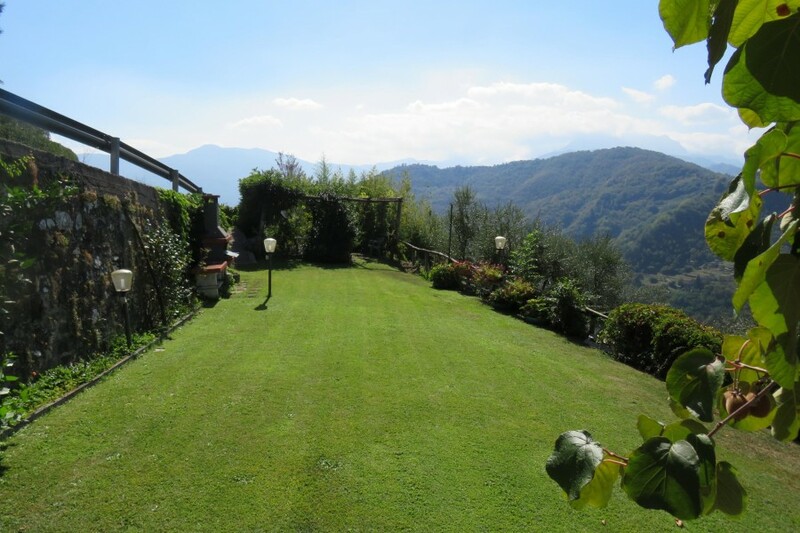 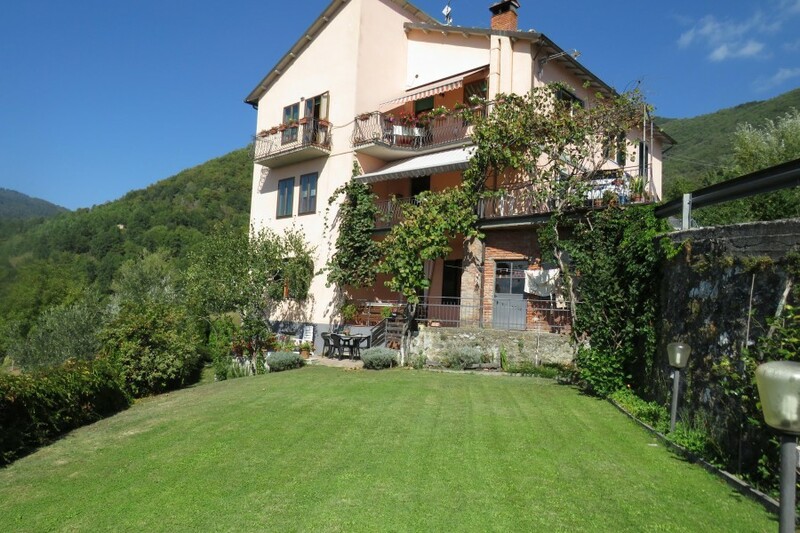 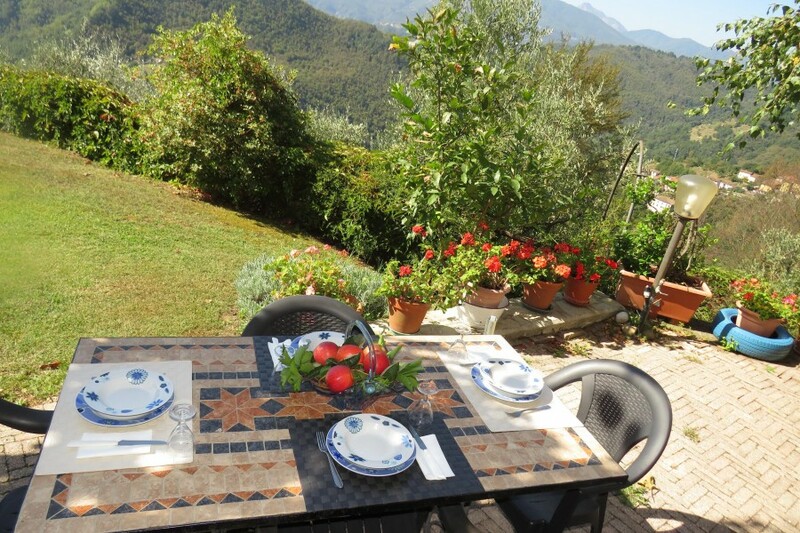 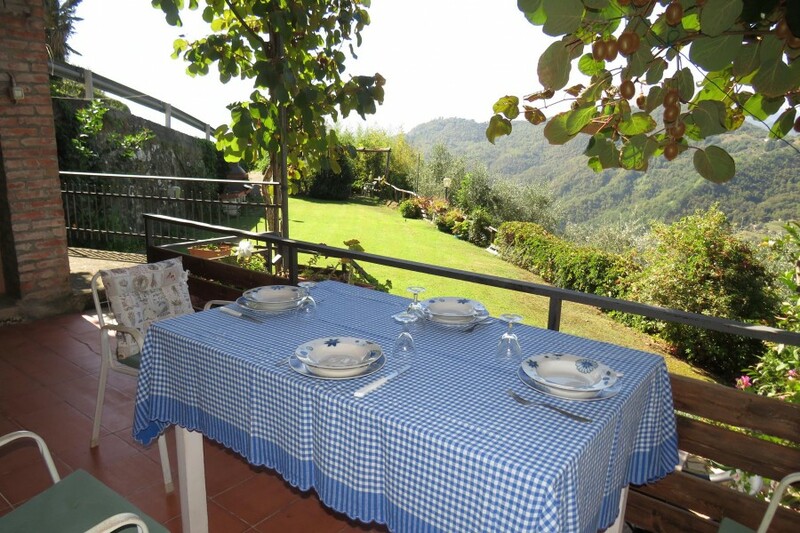 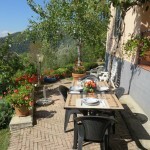 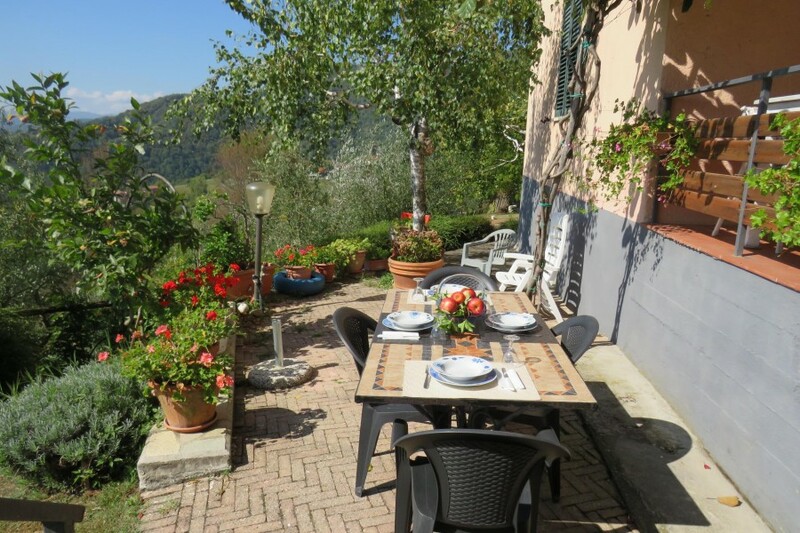 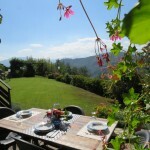 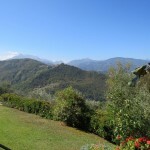 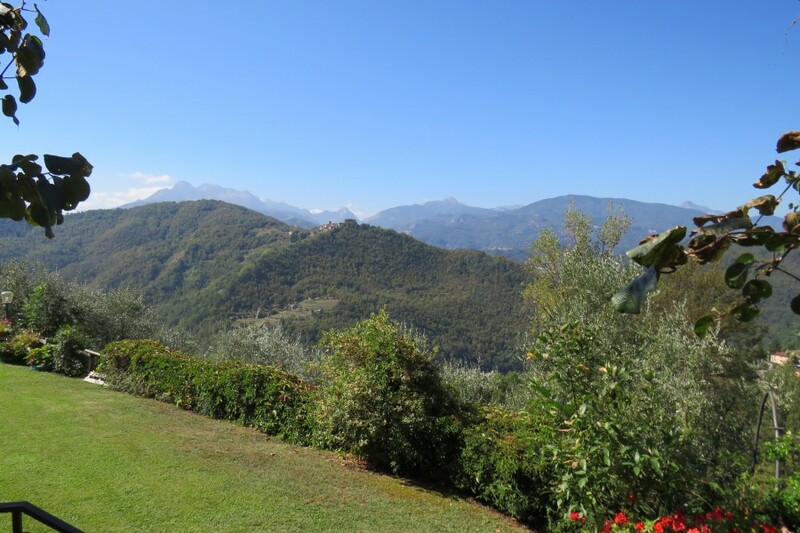 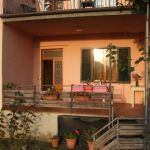 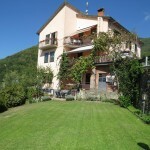 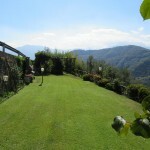 Private countryside villa, located at the edge of the small village of Fosciandora with wonderful views, converted into a 4 bedroom B&B plus one independent ground floor apt with its own private garden and a shared swimming pool shared with other B&B guests. 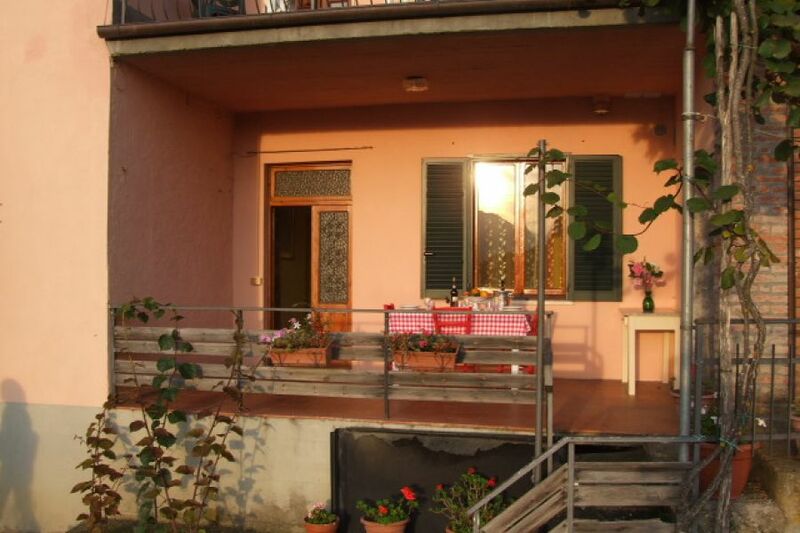 Oven, 5 ring hob, fridge freezer, microwave oven, toaster, washing machine. 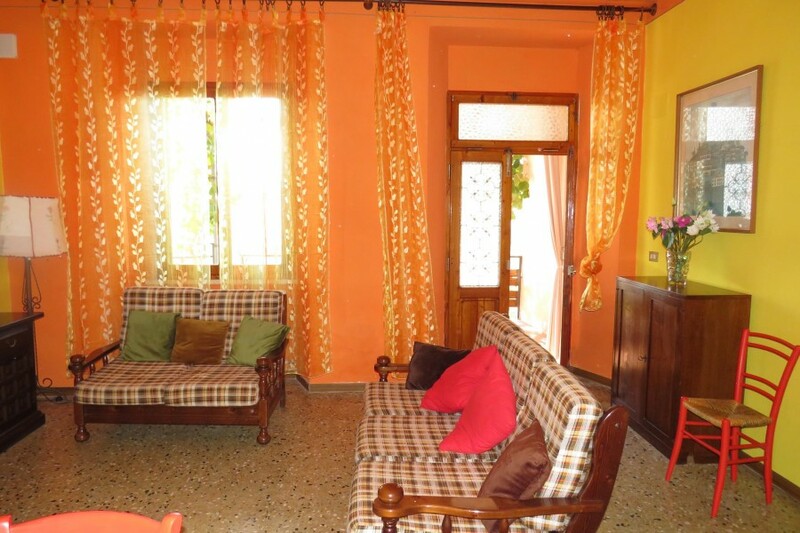 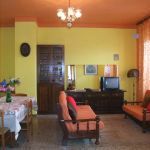 I double bedroom, 1 twin bedroom, I bathroom, large lounge with TV, DVD player and WI-FI free internet connection throughout the premises. 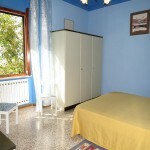 Extra single bed available in lounge on request. 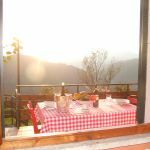 The lounge leads to a covered terrace, for relaxing and eating in the shade, overlooking the private garden with BBQ, with the spectacular view of the dotted villages on the hillside below, and the Apuan mountains beyond. 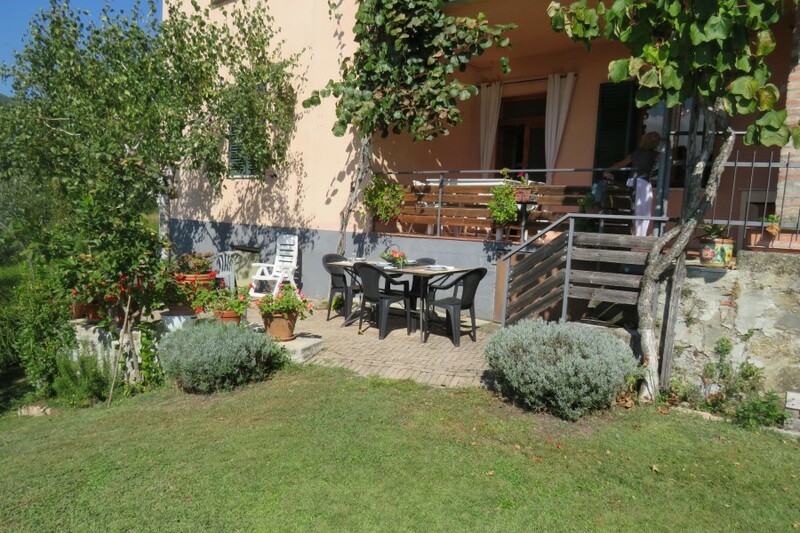 The apartment has direct access to a separate garden and vegetable orchard with swimming pool which is shared with the B &B guests upstairs. 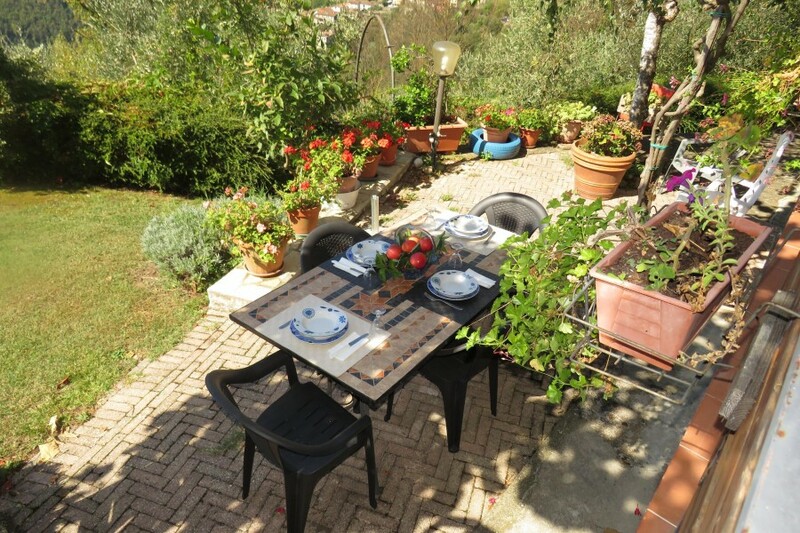 The owners who live in the premises are discreet, and are happy to share their fresh and organic garden produce (tomatoes, lettuce,onions etc..) with guests. 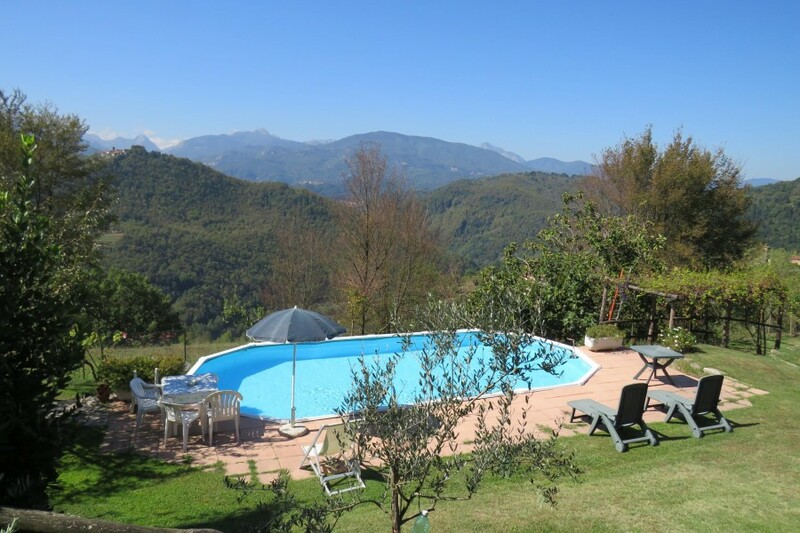 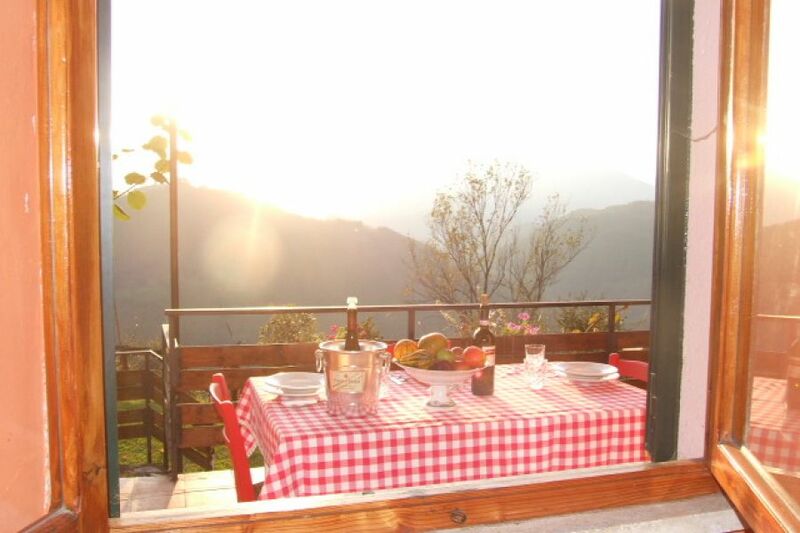 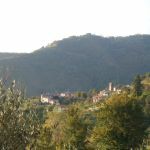 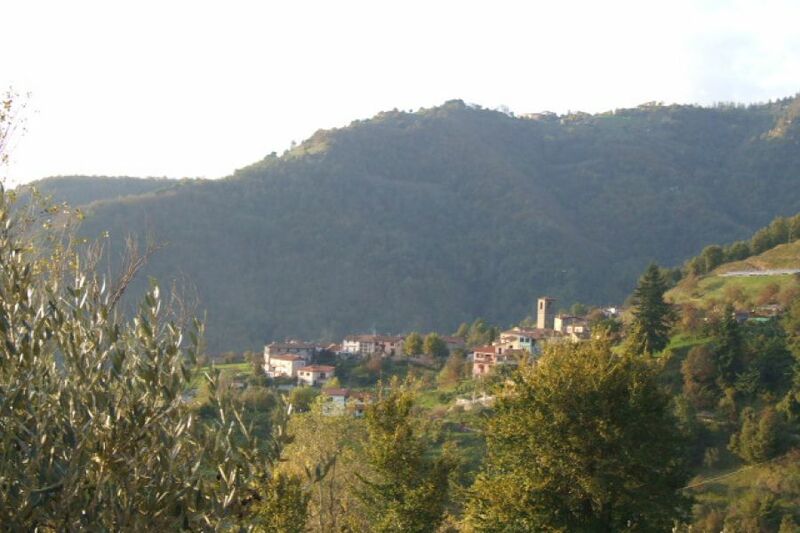 Fosciandora is situated 8km from the market town of Castelnuovo which has many amenities, and 10km from the medieval town of Barga which provides many cultural events throughout the summer. 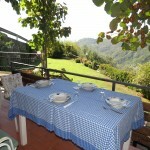 Nearest bar/grocer/farmacy 1km at Migliano, nearest restaurant and railway station, 3km at Ponte di Ceserana. 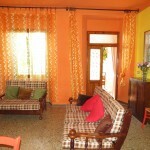 Prices p/w for each apt. 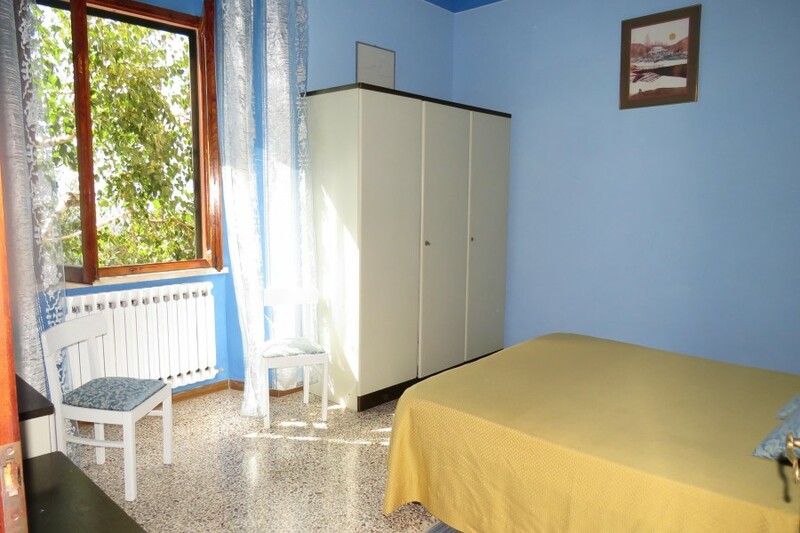 include electricity, bed linen, towels, central heating extra.